According to 4Gamer's preliminary chart, Sengoku Basara 4 Sumeragi has sold 58,889 copies on PlayStation 3 and 35,161 on PlayStation 4 for a combined total of 94,050 copies in its first week. The game has taken the second and third positions in the list. Famitsu's chart has the first week sales at 46,291 on PS3 with 24,848 on PS4 for a total of 71,139 copies. There will be more sales charts published later on (and since they count using different metrics, the exact values will differ) but it looks as though it's doing ok for an expansion. It's interesting to compare its sales relative to the top seller (Youkai Watch: Busters) as the difference is significantly greater in Famitsu's chart. These figures include both the standard and limited editions but they don't take download sales into account, so all that is known about the latter is that the game ranked in fourth place on the PS3 download chart and second place for PS4. Exact sales figures are not published for the PlayStation Network chart. Today's special video is a showcase of Matsu's moves in (Approximately) 10-second Theatre: Animals! Gather Together! The latest of Capcom's collaborations with the Oedo Onsen Monogatari hot spring 'theme park' brand is a special e-Capcom shop situated at the Minoo Onsen Spa Garden in Osaka Prefecture. 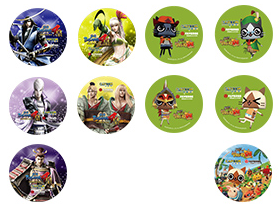 The Capcom Shop in Oedo Onsen Monogatari: Minoo Onsen Spa Garden store will be open for business between 1st August and 30th September 2015 and it promises to sell merchandise from series such as Monster Hunter, Sengoku Basara and Gyakuten Saiban (Ace Attorney). There will also be displays for visitors who want to pose for pictures, appearances by Airou (Felyne) characters from Monster Hunter, games such as 'Battle Roulette', a stamp rally and special stickers for those who buy something from the park's food court. There's no magazine roundup today because Weekly Famitsu only had a meagre two pages of Sengoku Basara 4 Sumeragi coverage and none of it was new. Next week's issue is going to continue the walkthroughs with information about the new Heaven difficulty - but I think the community will have figured it all out long before the magazine catches up. I've seen lots of people outside Japan buying the game this time!